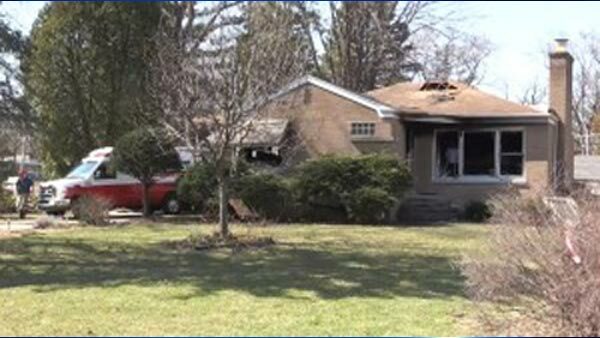 BENSENVILLE, Ill. -- A person was killed in a house fire Friday morning near northwest suburban Bensenville. The Bensenville Fire Department and DuPage County sheriff's officers responded about 8:45 a.m. to a report of a house fire in the 4N300 block of Church Road in unincorporated Bensenville, according to the sheriff's office. One person was found deceased in the home, the sheriff's office said. The identity of that person was not being released as the investigation continues. The fire was put out, but firefighters remained on the scene as of 10:30 a.m. The DuPage County Fire Investigation Task Force is also on the scene looking into the cause of the fire. Church Road remains closed between Red Oak Avenue and White Pine Road.